Triskaidekaphobia, or fear of the number 13, does not fit neatly into a clinical definition of a specific phobia. The number 13 is not an object or a situation, and it can be impossible for the sufferer to avoid. Moreover, in order for a phobia to be diagnosed, it must significantly impact the sufferer's life. Most people with triskaidekaphobia find that their fear only arises in certain situations, and does not significantly impair their lives. But could this phobia just be linked to superstition? Experts have long debated the scientific validity of triskaidekaphobia. Some feel that it should be classified as a superstition or even taken as a sign of magical thinking, which in conjunction with other symptoms, could point to a delusional disorder. Regardless of its scientific classification, triskaidekaphobia is an age-old and pervasive fear. It is commonly linked to the early Christians, as the number 13 appears in certain Biblical traditions. For example, there were 13 people present at the Last Supper, Jesus and his 12 Apostles. Some say that betrayer Judas was the 13th to join the table. This may be the origin of the superstition that states that when 13 dine; one will die within the year. However, the number 13 is also presented positively in the Bible. For example, the book of Exodus speaks of the 13 attributes of God, so this association is unfounded, despite the persistent correlation being made. Additionally, evidence for this phobia can be found in some pre-Christian traditions. For example, in Viking mythology, Loki is believed to be the 13th god. He is also said to have intruded on the Banquet of Valhalla, to which 12 gods were invited. The god Baldr was soon killed accidentally by his brother, using a spear given to him by Loki. The oldest known reference to the fear of the number 13 can be found in the Mesopotamian Code of Hammurabi, a Babylonian code of law that dates to approximately 1760 BC. The laws are numbered, but number 13 is omitted (along with numbers 66 through 99). Therefore, it is possible that triskaidekaphobia was widespread even among the ancient peoples. Today, triskaidekaphobia is widely accepted among Western cultures. Most Western hotels omit the 13th floor. Many airlines omit the 13th row in seating. Even some cities and towns skip over 13th Street. Friday the 13th is considered a particularly unlucky day and there has been a movie franchise that has profited from the superstition surrounding it. Fear of Friday the 13th is known as paraskevidekatriaphobia. The origins of this fear are unknown but may be connected to the arrest of the Knights Templar on Friday, October 13, 1307. 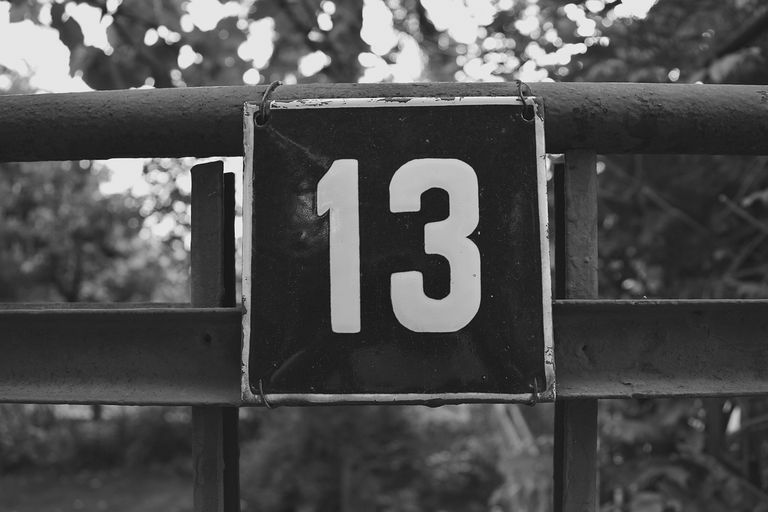 Many cultures have traditions of unlucky numbers other than 13. These beliefs, like our fear of 13, are typically rooted in ancient events that were somehow connected with the number in question. Regardless of its scientific classification, triskaidekaphobia is a very real fear for many people and a folklore legend to others. It appears to be an ancient and widespread phobia whose origins may never be fully understood.